‘I’m going to become a member for sure’, quipped the National Gallery’s director Nicholas Penny (who will retire next year) as he announced the museum’s latest initiative. 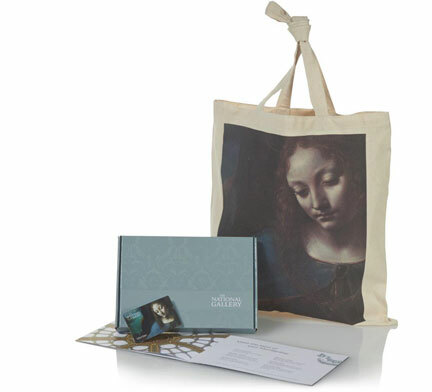 The gallery’s new membership scheme, launched this week, is the first in its 190-year history. This is the third in a hat trick of recent changes intended to place public engagement at the heart of the National Gallery’s day-to-day operations. This summer it introduced free Wi-Fi to the building and quietly lifted its ban on photography – a decision that was subsequently loudly debated in the press. Each of the changes represents a step in line with the emerging status quo for public galleries: Wi-Fi is becoming the norm as museums put more interpretation resources online; the photography question was so ardently taken up precisely because the National was one of the last major UK museums to allow it; the membership scheme mimics similar initiatives at Tate and the British Museum that have been in place for years. In this case, Penny argues that the gallery’s apparent tardiness has worked in its favour: those responsible for implementing the scheme have looked closely at existing ones and accompanying market research, so they already have the benefit of hindsight. They expect the scheme to generate funds for the gallery in the long-term which will be put towards educational and outreach programmes, although ‘how much we gain, and how quickly…we can’t say for sure.’ Certainly they’re pitching membership as a way for regular visitors to become active ‘supporters’, to be ‘part of the story’ of the gallery’s development as it approaches its 200th anniversary. The scheme is already live, in time to tempt visitors to the gallery’s autumn blockbuster ‘Rembrandt: The Late Years’ (an individual could make back the membership fee with just three visits to the show) and to catch the Christmas early birds buying gift memberships for culture-loving friends and family. Racism and censorship rows at the Barbican; hailstorms in Florence; and the end of cadmium red?